Confession: I was built to be in love. It’s true. I admit it. Love is in my movements. It’s where I’m most comfortable. Some people can date and maintain relationships that don’t mean anything to them. I’ve always envied those people. They can flirt and connect with numerous people without ever really having that overwhelming sense of love or devotion. Some people can even have “serious” romantic partnerships, long term boos, without ever feeling any love-like feelings. I’m not built that way. I have this heart – a poet’s heart – and it has two switches: love and indifference. If I am connected to you, if I spend time with you, chances are I’m completely in love with you. This isn’t limited to romantic relationships – this includes friendships as well. I will do anything for you. I will listen and offer anything I can to make sure you are happy. I will put my own needs ahead of yours. I have trouble NOT giving you what you ask for. I kick myself when I fall short of your expectations. I’m not saying it’s always healthy, but I love hard. That’s what I do. Its funny, people don’t often notice this about me – I can be sarcastic, snarky and a bit guarded, but those who know me know this to be true. I am in love with the people in my life. I fall in love so easily and so frequently that it’s confusing….but I’m coming to realize that’s okay. As I dougie dance out of my mid-twenties, I am coming to the realization that staying in love is A-okay. It’s weird when I think about it, but when I don’t think about it – it’s one of my favorite things about myself. I’ve struggled with this, especially with romantic relationships, but I’m learning that love doesn’t have to automatically equate to monogamy. Love doesn’t have to equal ownership or labels or obligations. At it’s best, love is freedom. It’s the choice to show up and stand next to someone because there’s nowhere else you’d rather be. Anything short of that, while valid, is something other than love. And by that standard, all we ever do is love. We love as we move. We love when we laugh at someone’s jokes, when we open the door for a stranger, when we call a friend out of the blue. Love always exists. 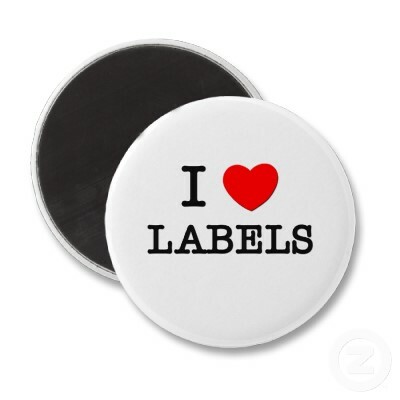 It doesn’t have to be contained, or quantified, or labeled. It doesn’t have a specific genus or classification. And I’m learning to dance happily in that space. I knew we were connected on so many levels for a reason. I too was built to love. It’s the only way I know and it’s why I love so hard! It truly brings my heart joy to love. However I am having difficulties with your RSS. I don’t know the reason why I am unable to subscribe to it. Is there anyone else having similar RSS problems? Anybody who knows the solution will you kindly respond? Thanks! !